The organization known as the Henrico Retired School Personnel Association was formed in 1991. 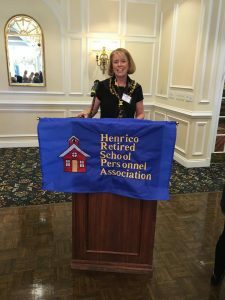 The organization includes teachers, administrators, librarians, cafeteria workers, custodians, bus drivers, and anyone who formerly worked for the Henrico County School System. For more information, see About Us.